Saul Bass’ Children’s Book Comes Back Into Print | Birth.Movies.Death. The legendary graphic designer did one children's book, and it's returning to book stores. Saul Bass remains a legend, and rightfully so. His graphic design work - especially in movie posters and opening credits - is titanic, and it continues to massively influence new generations of designers. 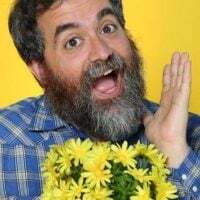 Bass has been dead for 16 years, but his work lives on very, very much. 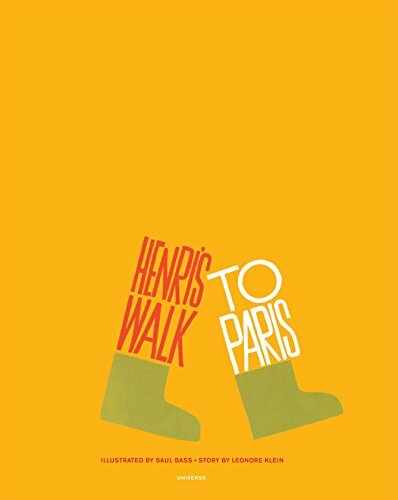 Henri’s Walk to Paris is the story of a young boy who lives in Reboul, France, who dreams of going to Paris. One day, after reading a book about Paris, he decides to pack a lunch and head for the city. “Like many of us Henri wants to see Paris. In Paris, there are thousands of buses. In Reboul, where Henri lives, there is only one bus. In Paris there are many parks and rows and rows of trees. The park in Reboul has only five trees. In Paris there are many zoos full of animals for the people to see. Along the way, Henri gets tired and falls asleep under a tree. And this is when the story gets really charming. What Henri sees, we see, in a flowing panorama of pictures conceived by the eminent graphic designer Saul Bass. Brain Picking has some wonderful pictures of the gorgeous interiors. The book, which has been out of print for decades, is finally back and you can order it at the Amazon link below.